The Akwa Ibom State Police Command has rescued a day-old baby buried alive by the mother in a shallow grave in Afaha Abia Village of Nsit Ibom Local Government Area, according to a report by PMNews. The state Commissioner of Police, Mr Gabriel Achong, made this known on Thursday in Uyo while briefing newsmen on the activities of the command in the last two months. Achong said that the command had arrested the mother of the baby for attempted infanticide, adding that she was being investigated. “Patience on Sept. 14, 2014 did bury her one-day-old baby boy in a shallow grave. The baby was rescued alive,” Achong said. The commissioner said that the suspect was among the 37 persons arrested by the command over various offences in August and September. He said that members of the command’s Quick Response Squad (QRS) had within the period also rescued four children reportedly stolen. He said that the children had been reconciled with their parents. Achong said that the command foiled two attempted bank robberies at Ikot Ekpene and Okobo in the last two months. He said that, on the Ikot Ekpene bank robbery, the police intercepted the robbers, who had trailed and dispossessed a manager of a telecommunication company of N8.9 million meant for deposit. 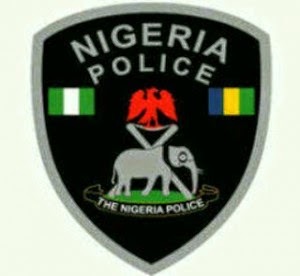 Achong, who resumed duty two weeks ago as the police commissioner, said that other cases being handled by the command included murder, unlawful possession of firearms, stolen vehicles and possession of fake Nigerian currency. He appealed for public cooperation to enable the police to fight crime effectively.